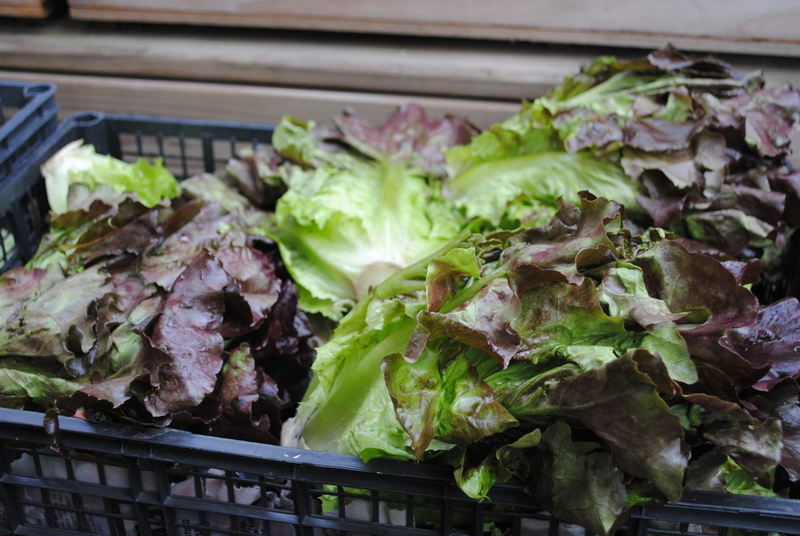 MimoMex Red Leaf Lettuce from the July 4th distribution. 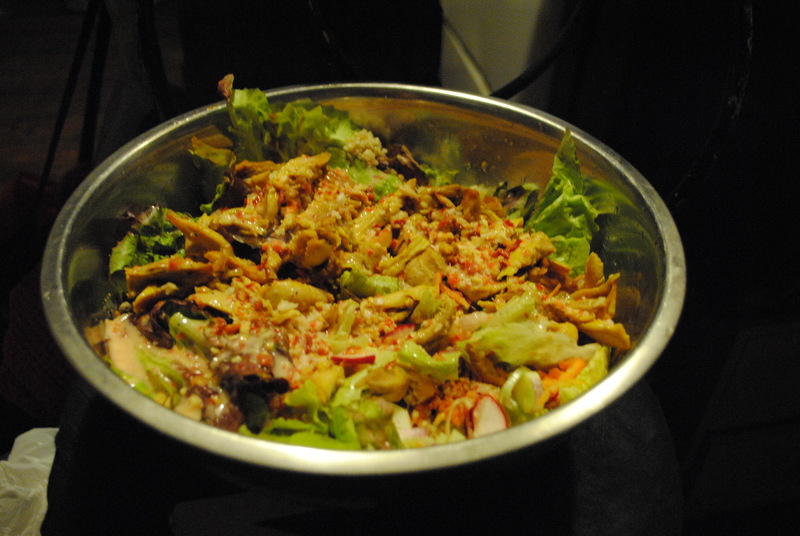 While Gilly loves to rock out salads –themes ranging from traditional to slightly Mexican to meaty–, Yolim is not really a fan of the green salad. 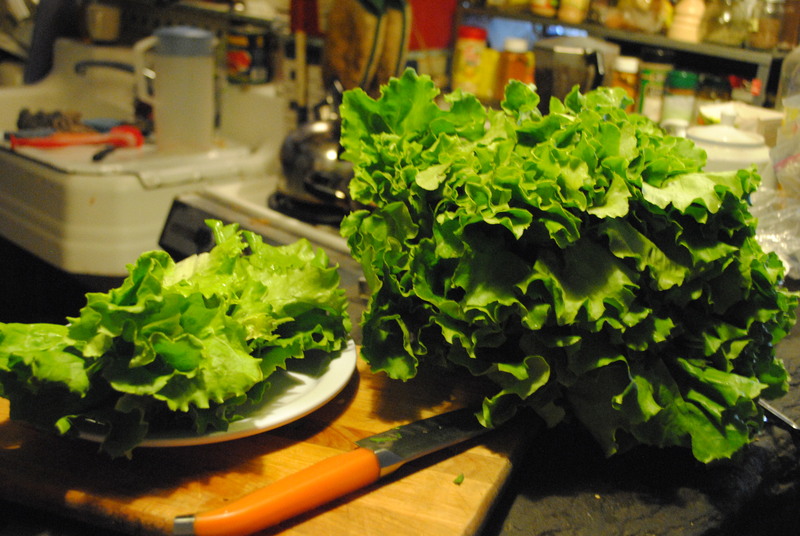 This can be difficult when you are a CSA member and receive a ton of lettuce, especially in the beginning of the harvest season. So, what else can you make with lettuce? 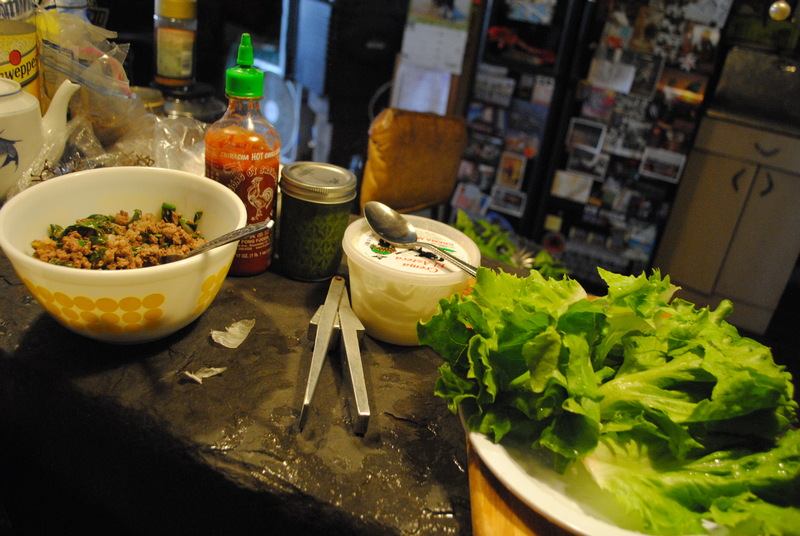 How about lettuce rolls! Start first with the filling. We use everything from TVP (aka fake meat) to roasted vegetables to ground meat (beef, pork, or lamb!) in the filling. Seasoned with garlic, onions, and whatever herbs we have in the house, the filling can be versatile, matching your mood or your pantry easily. 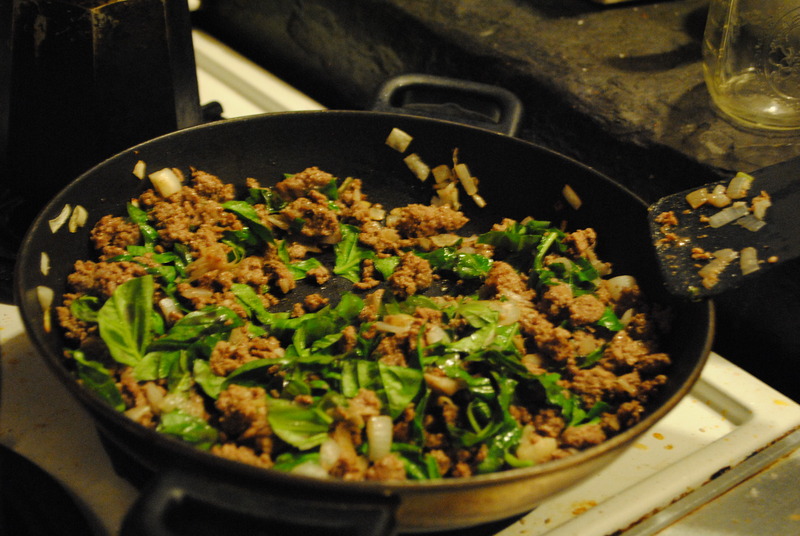 This time we used our ground beef from the meat share and a ton of basil from the garden and cilantro from the CSA share. We had some homemade pesto, Sriracha, and crema azteca on hand for condiments. 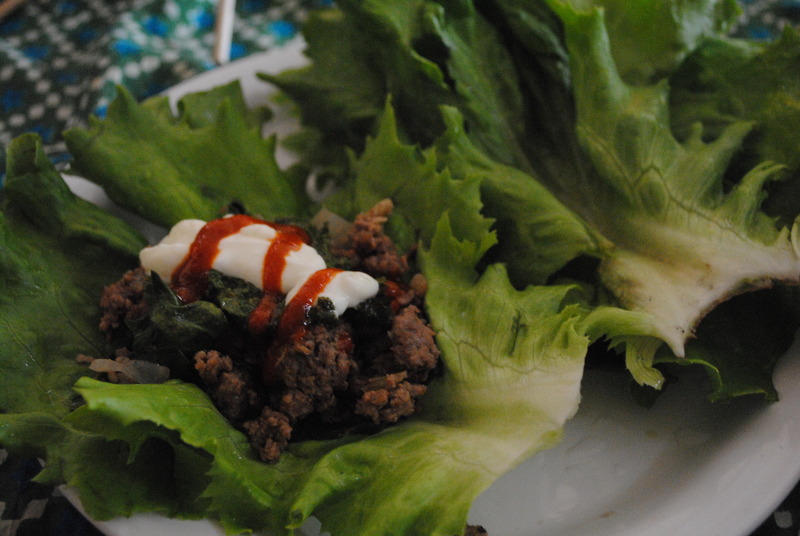 Such a delicious way to use up some of the gorgeous lettuce leaf from MimoMex farm. Another staple that we like to use weekly, tweaking the recipe depending on our mood and vegetable supply, is potato salad. 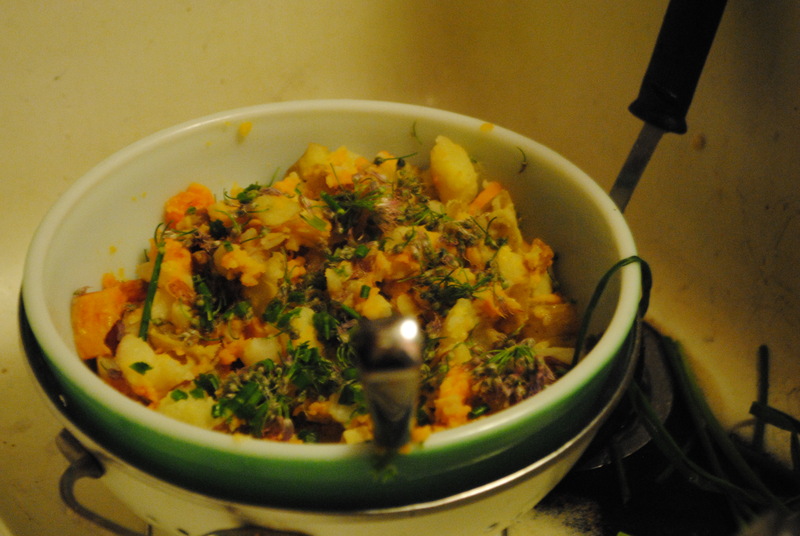 We start with what could be a standard German Potato Salad, with its typical potatoes and vinegar dressing. However, it can become spicy with the addition of peppers or sweet with the addition of sweet potatoes & red onion. In this version, we added sweet potatoes (from the Tops bargain bin) and chives (from the CSA) and chive flowers (from the farmers market) to make this colorful addition to our meal. Perfect for hot weather, potato salads store well and can be easily adapted to whatever is in the house. If you got it, grill it! We have a weekly bbq at our house with other friends who are members of CSA. We have found it helps motivate us to cook cook cook with our CSA produce. 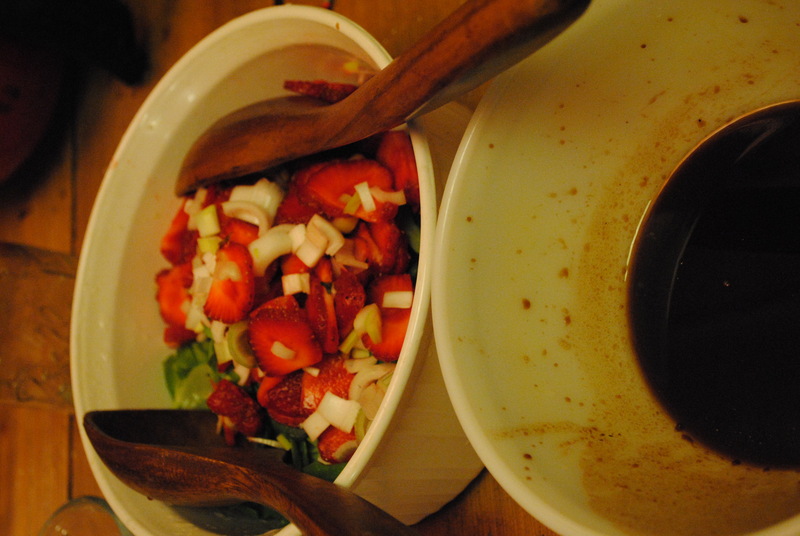 It is also great inspiration for us because our friends are pretty imaginative cooks. 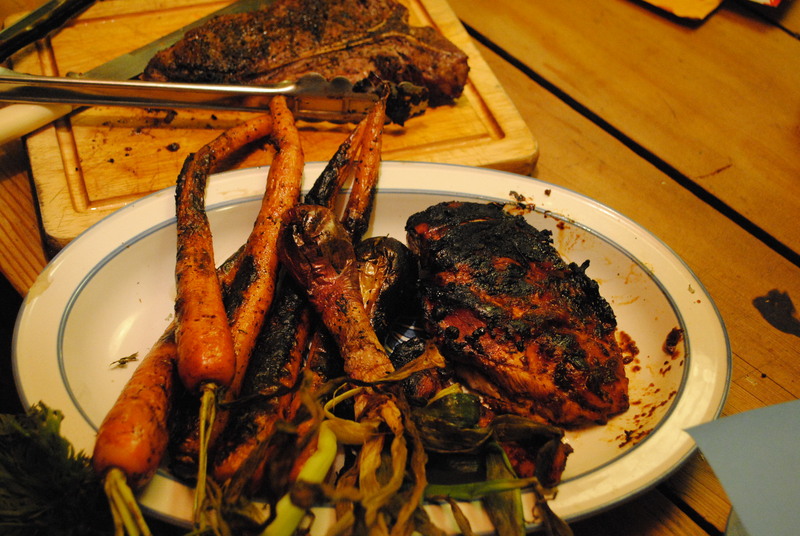 Yolim likes to grill up whole bunches of carrots and smaller onions to go along with the divine porterhouse steak that came in the meat share. You haven’t tasted anything until you have had a grilled MimoMex carrot! Goshen, NY, where MImoMex Farm is located, is famous for its onions. 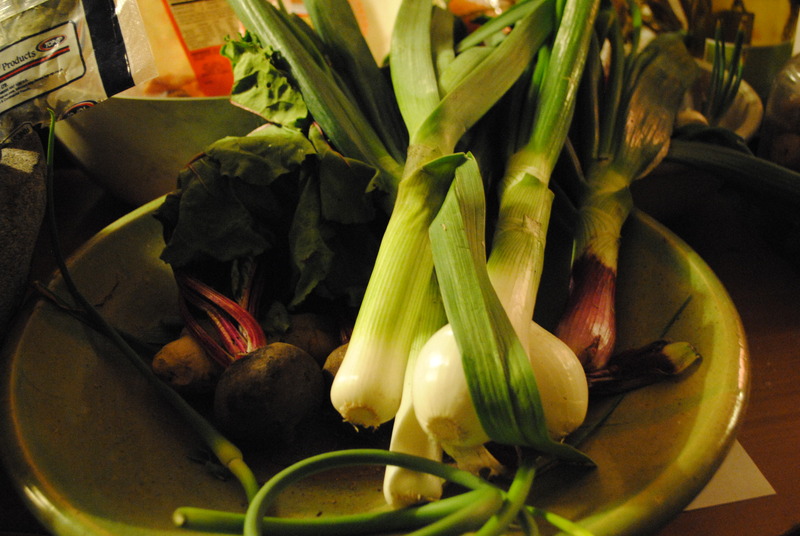 The black dirt is prime for onion crops and the Southside CSA reaps the bounty. 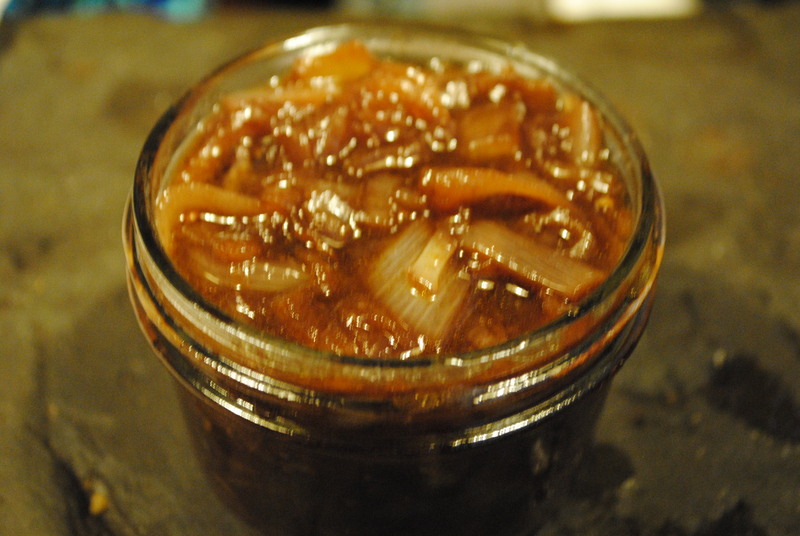 Gilly rocked out this brit classic, a sweet red onion marmalade, which pairs so well with cheese and charcuterie (not to mention the bratwurst from the meat share!) She got the recipe from one of her favorite cookbooks, “Sarah Raven’s Garden Cookbook”. If you have a juicer, you should have no problem going through your veg share in a week. 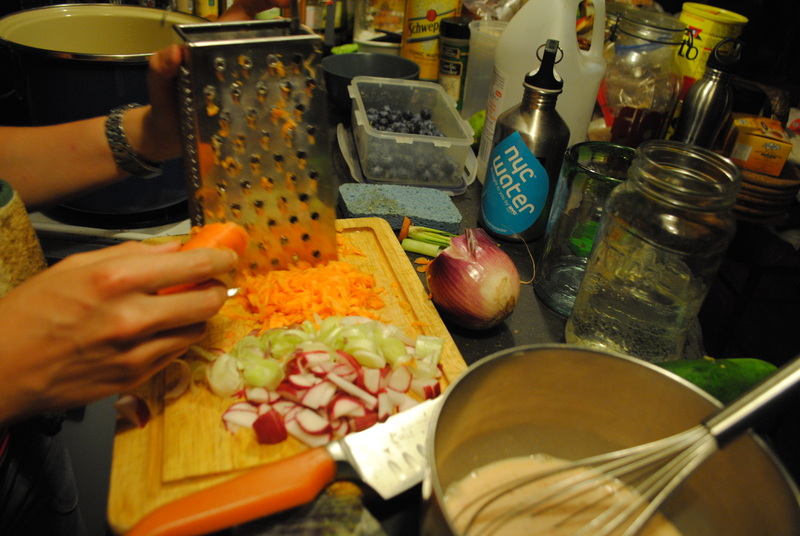 Most MimoMex produce can be juiced into some tasty (and nutritious) concoctions. 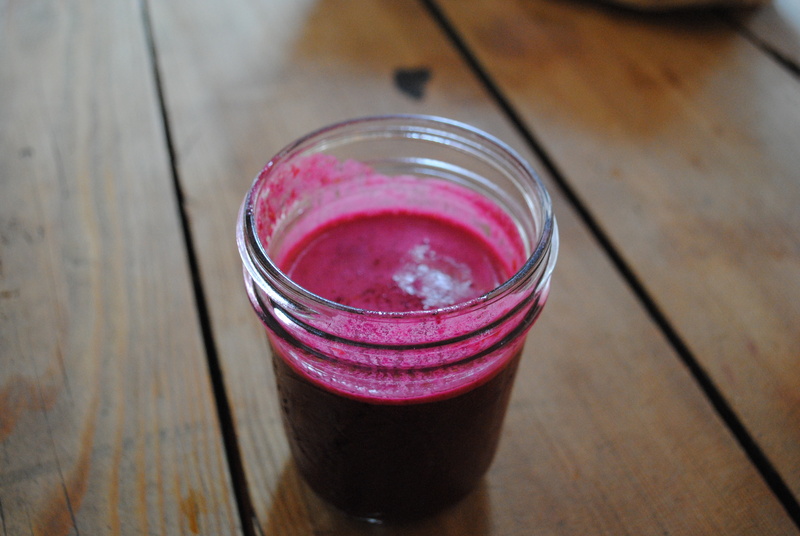 For the past week, we have been starting our day with a powerhouse juice, a mix of beet, carrot, & blueberry juice. Blueberries add such a nice sweet kick to the classic carrot/beet combo. Egg + zuke = YUM! Packed with protein and good-for-you omega oils, farm fresh eggs are a great meal. Partnered with MimoMex zucchini , the meal skyrockets with goodness. 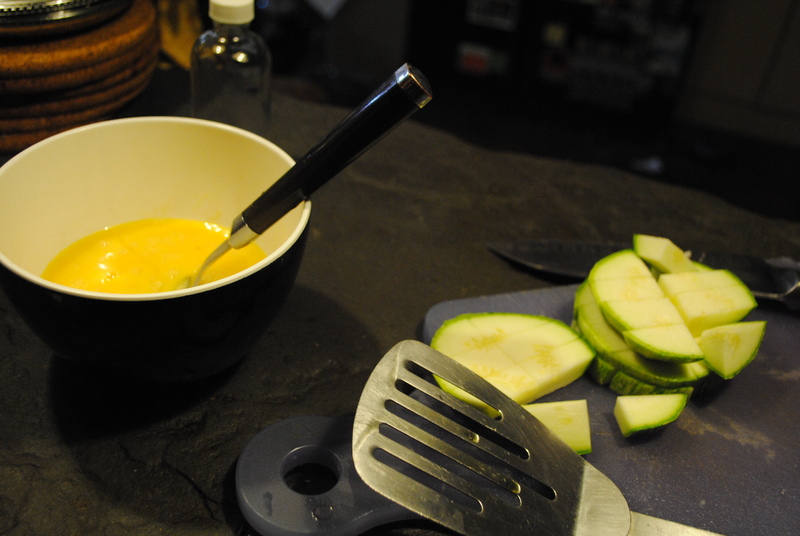 In a quick scramble or a fancy frittata, you cant beat the solid satisfaction of a meal based around eggs and summer squash. 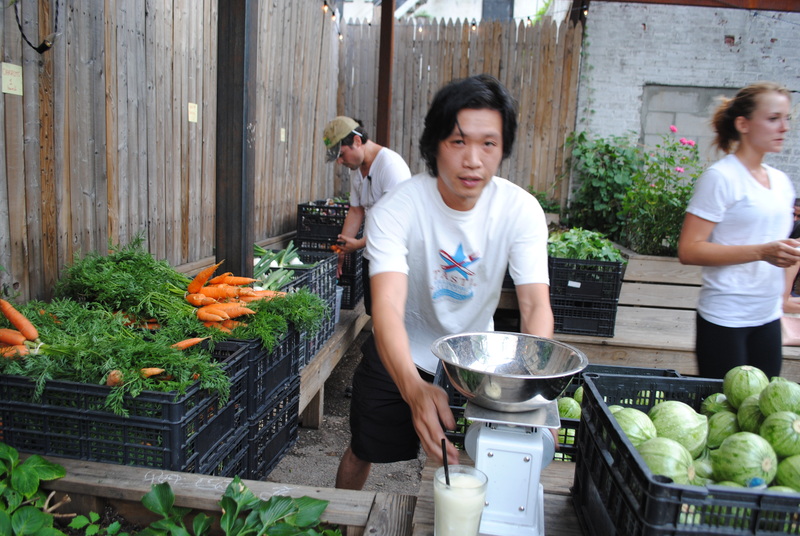 Alright Southside CSA, what have you got cooking in your kitchen?